Ecobank Tanzania sponsored the launch of the International Federation of Freight Forwarders Association (FIATA) Freight Forwarding Diploma programme, offered under the Tanzania Freight Forwarders Association (TAFFA). Dr. Harrison Mwakyembe the Minister for Transport of the United Republic of Tanzania among other dignitaries graced the event held at the Hyatt Regency Dar es Salaam-Kilimanjaro. As such Tanzania becomes the first country to offer the highly acclaimed international Freight Forwarding Diploma in the East and Central African region. “We greatly applaud the efforts of TAFFA in pioneering this initiative in the EAC region. This internationally accredited Diploma certification programme will not only create increased employment opportunities, but will also increase the level of professionalism and efficiency in freight forwarding in this region while taking advantage of the port of Dar es salaam that serves landlocked countries in the East and Central African region” Says Dr. Mwakyembe. Ecobank, with its regional coverage across 36 African countries will complement this initiative and freight forwarding as a whole in the EAC, SADC and COMESA regions by offering among others a seamless regional collection platform. 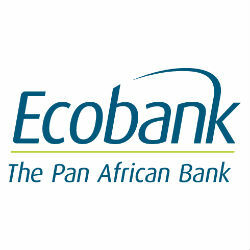 “Ecobank has come on board to ease the pain for freight forwarders’ in the receipt of their fees for services rendered to their clients within the EAC and SADC regions. With improved freight forwarding practice, facilitated by this diploma offering and Ecobank’s regional collection platform, we are bound to see an increase in trade volumes between Tanzania and its neighbors as payment hassles become a thing of the past”. Says Mr. Stephen Ngatunga, President of TAFFA. According to Mr. Deogratias Rulangaranga Head of Business Banking at Ecobank Tanzania: “The freight forwarders will be able to receive payments in their collection accounts in Tanzania within the same day from any country within EAC as well as Zambia, DRC Congo, Malawi, Mozambique and Zimbabwe, where the account holder will receive a notification upon confirmation of deposits in USD. Our customers can also view their statements through our online banking platform OMNI from any location, which greatly increases transparency and accountability. “Thanks to our unmatched on-the-ground presence within the EAC and SADC regions, Ecobank is the defacto bank of choice for intra-regional trade and investment activities. This partnership with TAFFA is a big privilege for the bank as it affords us the opportunity to unleash our innovative suite of accessible, reliable and convenient offerings for the benefit of the freight forwarders in this region” says Mr. Enoch Osei-Safo, Managing Director at Ecobank Tanzania.